It’s that time of year when the kids are playing outside and mosquito’s are out and about. 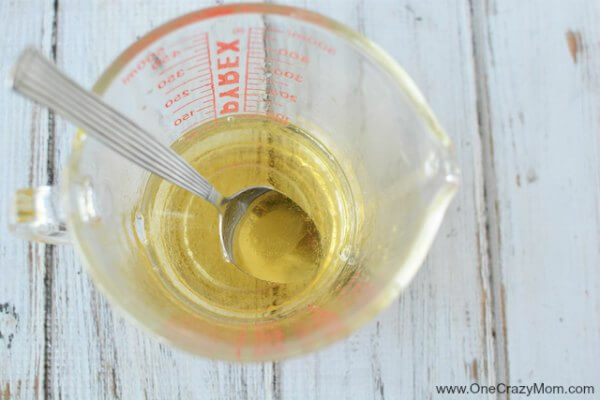 This DIY Bug Spray works wonders and you do not have to worry about harsh chemicals. It’s very simple to make and only requires a few ingredients. It’s summer time and the kids are playing outside and we are having lots of BBQ’s. We love spending time outdoors. However, we do not like having mosquito’s and other bugs bothering us. I was looking recently to purchase bug spray for my kiddos and had a terrible time finding something all natural. Everything it seemed at the store contained chemicals like deet and other harsh ingredients. I didn’t feel good about spraying that on the kids or myself. I looked into organic and natural buy sprays you can purchase but goodness are they expensive. 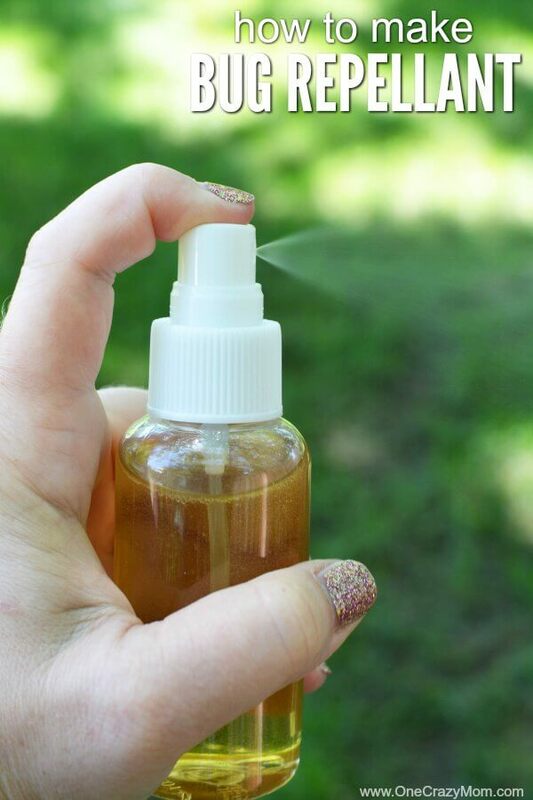 So, I made my own DIY bug spray at home. It works wonders and no worries about what I’m putting on the kids. One thing to keep in mind with this natural bug spray is application is needed more frequently. But to me that is worth the peace of mind of knowing it’s all natural and chemical free. I usually reapply after about 2 hours. It seems to do the trick. You may need to adjust the time a little but that seems to work for me. Natural Mosquito Repellent works so well! I like to use 4 oz spray bottles to put the DIY bug spray in. It’s so handy and the perfect size to throw in my purse. I love this size because I can keep one at home and one at Grandma’s house and just wherever the kids can use it frequently. You can also purchase a 4 oz glass spray bottle if you prefer. I like to use the glass bottles a home. I use the plastic bottles for traveling or at the pool and such. No more worries about bug bites. It is truly the best bug repellent. 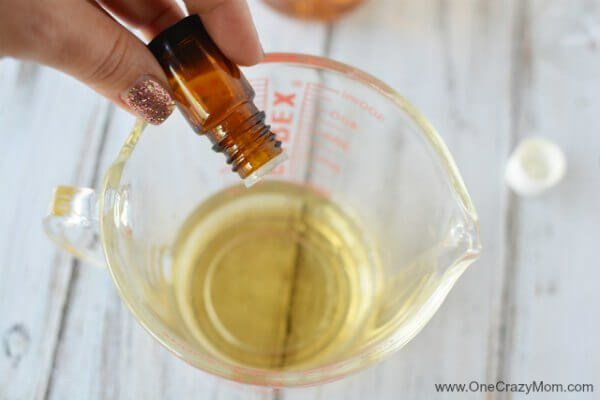 The essential oil blend works amazing and even will repel mosquitoes. 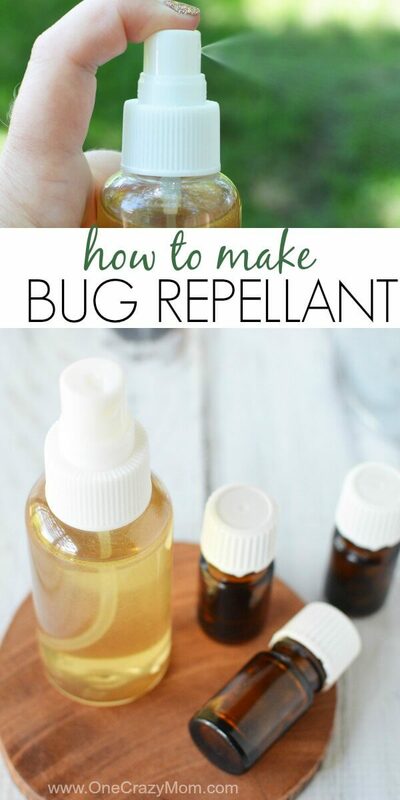 Bug spray recipes can be challenging to find the right one but this one really is amazing. I love using ingredients that work as natural repellents. Once you use this natural bug spray, it will be all you ever use. I love using homemade bug spray. Not only is it great for the kids but also for adults. The entire family can use this! I love not having to carry a ton of different bottles around. It’s so nice being to use the same product on everyone in the family! 1. 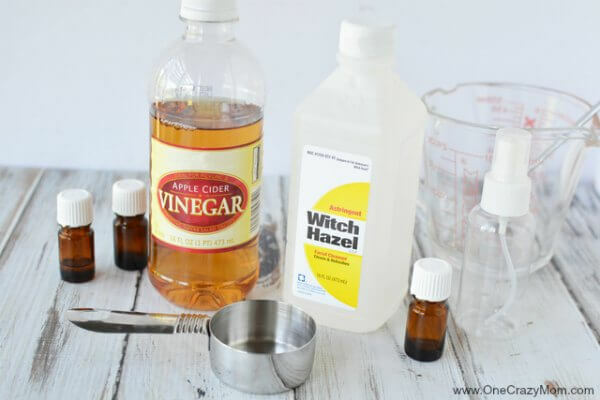 Place witch hazel, apple cider vinegar and essential oils into a small measuring cup with a spout. Mix well. Pour the mixture into the spray bottle. Shake well and spray your body and clothing with bug spray when outside. This is the best natural mosquito repellent! For essential oil recommendations try rosemary, citronella, tea tree, lemongrass or eucalyptus or a combination of them. It’s amazing all the things essential oils can do! They truly have so many wonderful uses. 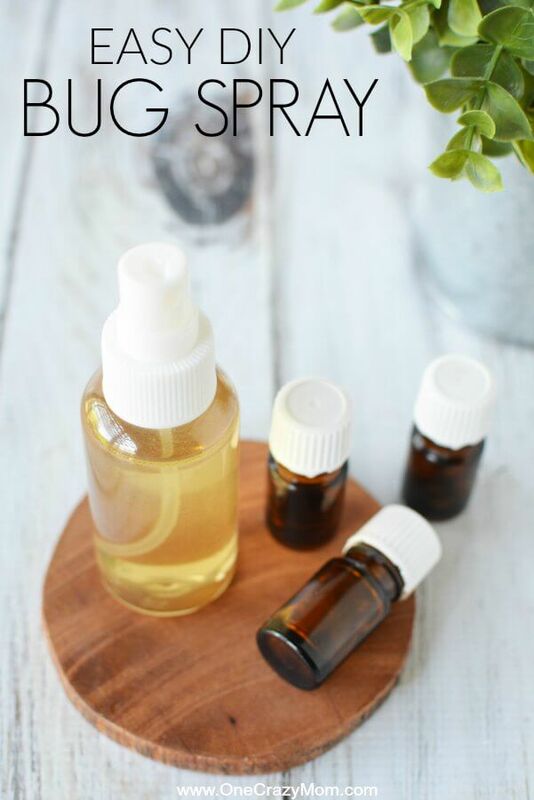 You can find 6 Amazing Essential Oil Blends for Allergies and even Essential Oils for Hair Growth! There are so many great ideas! Give this DIY bug spray a try. 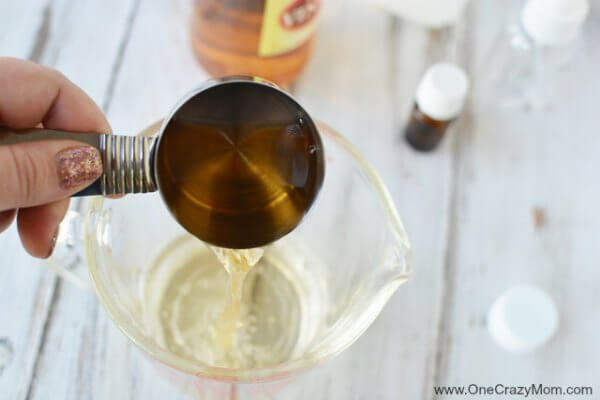 Vanilla extract is also a natural bug repellent for another option. Just run on skin with a little coconut oil. This is a great natural mosquito repellent. 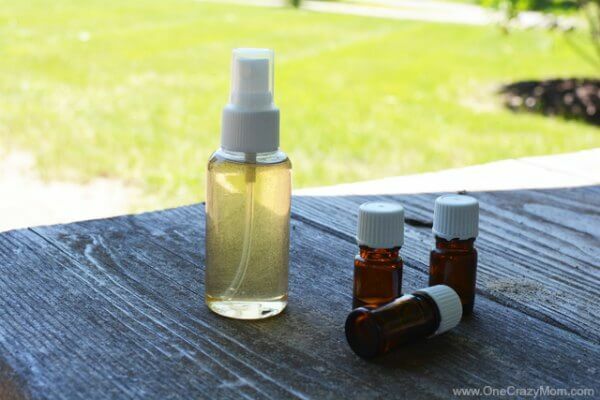 DIY Bug spray works so well on the entire family! We are really trying to be cautious as to what we are using around here. I’m reading more and more ingredients on what I’m using and goodness it’s a lot! It really has caused me to try to use more natural products in our home. It can really add up quickly though if you are purchasing store bought items. However, I have found that by making my own natural products, it’s a huge money saver! I was hesitant at first because I thought it might take a long time to make these things. I was pleasantly surprised to find out that truly it’s SO simple! Not only am I saving money but my family is enjoying the benefits of natural items. I feel so good knowing I don’t have to worry about ingredients I can’t even say! There are so many great things we have made. We recently learned how to make lotion. Also, this Homemade Deodorant Recipe is very simple to make. I just love knowing exactly what is in the things I am giving my family to use. 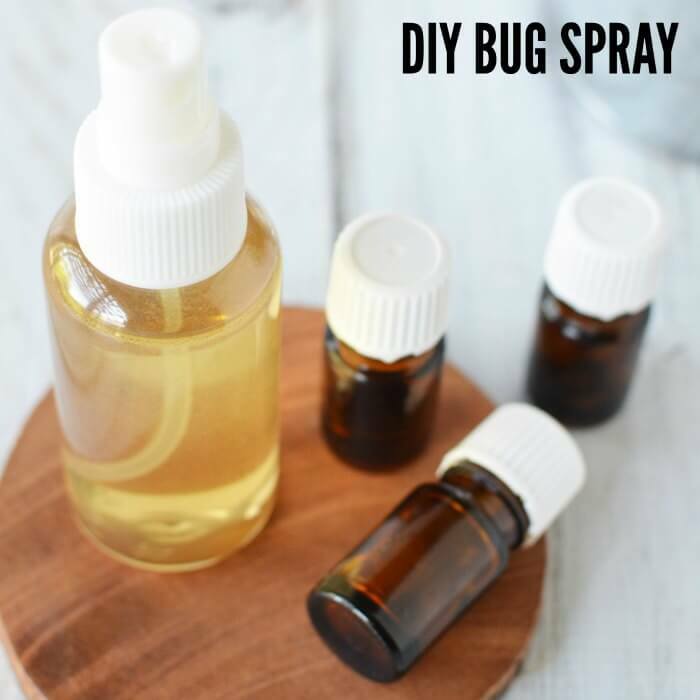 I know that you will love this DIY bug spray so much that you will want to try more natural products. We have tried so many and have been pleased with every single one. I’m sure that you will love them just as much as our family does. Don’t get overwhelmed and try to make all of these in one night. Start with a few that interest you the most and go from there. You can make one or two and try another the next week. You can do more or less based on your time and budget. Just don’t pressure yourself or it might seem daunting. 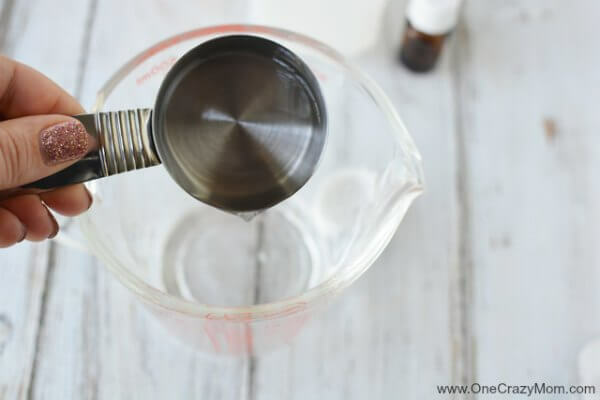 Once you get started, it’s so easy to make natural products. I have found that I have many supplies already on hand and only have to pick up a few key ingredients. So get started and let us know what you think!